A question I received: What should one’s intention be while reading The Book of Zohar: to reveal the Light between the friends, to reveal the text within oneself, or both of these together? And which is more important? My Answer: I don’t consider the two separate. We talk about how the whole world is inside a person, and the entire reality that I perceive exists within me. Even though I currently exist inside an illusion, thinking that I see friends in front of me, the surrounding world, enemies, houses, stars, and everything else, the fact is that all of this is my own desire. That’s how I perceive it. My desire contains spheres. Some of them are my inner spheres, called root (Shoresh), soul (Neshama), and body (Guf). Then there is a more external sphere, called garments (Levush) as well as a more external one called house (Eichal). This is why I perceive myself inside the inner spheres (the root, soul, and body), and in the external spheres (the garments and house) I perceive the world, which seems to be outside of me. This is so because during the Second Restriction (Tzimtzum Bet), the two external spheres separated from me and became outside in relation to me. That’s why they surround me. However, in reality they are mine. They exist inside of me and I only perceive them as external. Since my inner desires are Keter, Hochma, and Bina, or root, soul, and body, inside them I perceive the Inner Light – NaRaN. In the desires surrounding me (garments and house) there is a weak surrounding glow and that’s why I don’t consider them very important. I depend on them to some extent; for example, the stars and the sun shine for me and the world surrounds me, but the most important thing is me. I don’t even suspect that my most important desires are precisely the ones outside of me. And they are all mine. It’s just that I exist inside an illusion where they seem foreign to me. So where is the group, the teacher, the Creator, The Book of Zohar, the entire world, my spouse and my children? They are all inside my desires. Who did I marry? My desire. Who did I yell at today? Who did I laugh at? It was all my own desires. All of it is me. You might say, “So you’re saying that I am inside of you, but I say that you are inside of me, who’s right?” The answer is that both are correct. As long as we don’t ascend above this world into spirituality, we won’t be able to free ourselves from this illusion. However, if I view the whole world as my desire, then it’s much easier for me to go from this illusory perception of reality to the true sensation of reality. In the article, “The Nation,” Baal HaSulam writes that a person differs from an animal in that animals completely rely on nature. Animals cannot adapt nature to themselves. In contrast, human beings are endowed with the power of thought, and without having to rely on nature, can, for example, instead of waiting for a chicken to hatch eggs, invent an incubator to perform the job of hatching eggs. In a similar fashion, a person always strives to better his state, without placing himself under the blows of nature. A person attempts to find the most comfortable means of achieving his goals using the least effort to get results as quickly as possible and with the least suffering. For people aspiring for the goal of spirituality, the science of Kabbalah serves as an “incubator” helping us speed up our spiritual development without waiting for it to occur in a severe natural way, which is both lengthy and painful. The goal of our spiritual development is to give rise to a sensation of an independent (free) equivalence to the Creator. The spiritual “incubator” for people needs to be multilayered, so that each person can find his place in it and feel as though he is in the arms of his caring mother. Then he will receive beneficial “nourishment,” which will gradually develop and raise him. In the book Beit Shaar HaKavanot (The Gatehouse of Intentions), Baal HaSulam explains that the intention depends on the desires that lack the screen (Kelim de Igulim). In other words, the intention depends on the extent of our understanding that we are under the power of these desires, as well as our wanting to turn them into desires with a screen (Kelim de Yosher). A screen, which is the anti-egoistic force, will only appear if I myself want to build it. This means I must figure out the “head” and “feet” in my desires, which are things that are more and less important to me. When I want to work with the screen in a “straight line,” I begin to clash with the desires De Igulim. Tension arises between us because I want to set a new scale of values according to Yosher, the anti-egoistic screen, and not according to Igulim. And then Igulim begin to influence and push me in such a way that they ultimately help me arrive at the place where I need to be. By wanting all of our desires oriented in one direction (towards the Creator), we build a “line” (desire with a screen) within the Igulim. This is called an intention or a prayer. 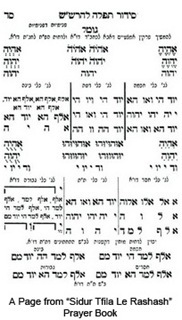 Baal HaSulam wrote Beit Shaar HaKavanot as the introduction to a Kabbalistic prayer book that he wanted to write. The Zohar, Chapter “Chayei Sarah (The Life of Sarah),” Item 172: “And he made the camels kneel outside the city by the well of water.” “Outside the city” means in the graveyard. “By the well of water,” which precedes the revival of the dead in the graveyard. Those are the ones that negotiated in the Torah, since what is the first thing that one is asked when he goes into the grave? If he set times for the Torah, it is written, “And the stability of your times.” It is even more so when he comes out, there is no question about reviving them first. A question I received: How does Torah study help a person when he goes into the grave? My Answer: One studies the Torah and because of this he “dies” at the previous level and goes down into the “grave.” This death is required before a person renews himself and is reborn on a new level. The desire for pleasure remains in the form of a “fetus” (Ibur) until it completes this stage and has to be born. The prior state turns into the “grave.” The mother’s womb that once comprised the whole life of the fetus, and which one knew in every detail because he grew up in it, now transforms into “the grave.” The egoistic desire that a person starts to reject and is unable to work with any longer is forced to turn itself into a new state. This is why a person is asked: “Did you set times for study of Torah? Did you want the Light to act upon you?” Now a new state will be revealed. You applied all your efforts toward spiritual growth while staying in the mother’s womb. Now, the womb turns into the grave, and you are born with a new desire. How else could we come to a new degree? Why can’t we just leap over the degrees? It is because we have to accumulate the desires that are associated with each prior step. By going through them, a new degree becomes obvious for us. A new degree doesn’t just descend to us from Above. One’s former desires that were previously worked on perfect themselves, thus transforming into a new level. Kabbalists who revealed the Creator, wrote books about this, starting from Adam, the first person to attain the Creator, through Baal HaSulam. There are many Kabbalistic books mentioned in The Book of Zohar, which we aren’t familiar with. Apparently, these books have been lost. All the books written by sages from the nation of Israel up to HaShla HaKadosh (17th Century) were written from spiritual attainment. Later, as a result of the descent of the level of the generations from the 17th Century on, not all authors of books on Kabbalah were in spiritual attainment. For this reason, a question arises regarding the authenticity of some books. We have at our disposal hundreds of books by authentic Kabbalists who wrote them while they were in our world and simultaneously had the perception of the spiritual world, a connection with the Creator. Hence, they were able to transmit their attainments to us in the form of texts, so that we, in turn, would obtain contact with what they attained. However, The Book of Zohar is the only authentic Kabbalistic book about which it is written that through it we will come out of exile and rise to the level of those Kabbalists – the authors of these books. Indeed, The Book of Zohar truly has a special Light. The fact that there are other books, through which we can acquire a greater impression or understanding, is irrelevant when actually attaining the level of connection with the Creator. There are many Kabbalistic texts, such as: “The Tree of Life” by the ARI, the Tanakh, the Gemara, and the Mishna, which are written in a rational, logical language that we understand. In contrast, when we read The Book of Zohar, we don’t understand what is written. It carries us into various directions. However, the special connection that it creates between our souls, between us who are beginning this path, and the source of Light that is able to correct us – is not present in any other book. Therefore, of all the books, only about The Book of Zohar is it written that due to it we can come out of exile, to deliverance, and reveal the Creator. Other Kabbalistic sources also contain a connection, since the Kabbalists writing them possessed spiritual attainment. Their connection is expressed in their compositions. Nonetheless, only The Book of Zohar, can help us. The most important thing in spiritual development is educating children and adults. A person needs to be educated for a new reality. Gently and lovingly, the world in which he exists needs to be opened for him, so that he can understand the reasons for suffering, and so he can acquire a positive goal. This development needs to occur warmly, like in an incubator. In such a loving way, a person will feel that it is worthwhile for him to open up his eyes slightly in order to find out how to realize his life in a better way. We can use as an example the work of American author, Dale Carnegie, who explained how a person can look at the world differently. He taught people a new outlook on life, on a simple, psychological level; it made life sweet for people. A person’s life did not change materially after reading Carnegie’s approach, but it became easier to live, and people liked this. They took it as a psychological medicine, like an elixir of life. We have the real elixir of life to share with the world. We have already performed a great amount of work, and we are ready for people who come to Kabbalah actively seeking spiritual advancement. We have already built a degree that allows one to touch upon spirituality and to advance further. We have opened the door, which a person can walk through. Before this, there were no comprehensible books, no translations into dozens of languages – and now all this exists, in all the different types of media. Therefore, now instead of just paying attention to those who are already knocking on our door, wishing to return to the spiritual world, we need to go outside of our premises and reach every person. A question I received: Why does Bina’s desire to bestow position itself on the left or receiving side? My Answer: Really, Bina is the same as Hesed (mercy, bestowal), at the same time, it’s Gevura (overcoming, prevailing, surpassing) and a place where Klipot (impure desires) are accumulated. Bestowal and Hochma are the same. Hochma radiates the Light of warmth, fulfillment and pleasure. Bina stands for creation’s desire to bestow. This is the quality that allows the creation to sense whether it possesses properties of bestowal. It is split into two parts: pure sacred desires (the vessel which the Light is able to fill) and impure desires (the vessel into which the Light cannot enter). Only when we start to go through the process of bestowal do we begin to distinguish these and realize whether we belong there or not. Bina is the next stage in the development of the level named Hochma. Abraham gave birth to Isaac (the right line created the left line). The desire to receive pleasure grows bigger in Bina as compared to Hochma. Bina’s desire, which didn’t exist at the stage of Hochma and was only in potential at that step becomes deeper, which brings it to a higher level of self-awareness. Hence, in its upper part, Bina constitutes the pure power of bestowal that makes it similar to Keter. 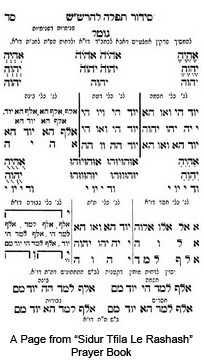 Gevurot (powers of limitations), the left line, Klipa, and the “big sinners of the Torah” stem from Bina’s lower part. The same applies to Keter; the Torah and its highest Light can turn into life’s elixir or into deadly poison. It all depends on the way we use it. The process of correction happens in ups and downs. First, Malchut rises to Bina and gets included into it, in this way Bina gets to know what Malchut wants. After it attains Bina, Malchut takes Bina’s strength and then descends. At this point, Bina already carries part of Malchut. Altogether, there are four parts: pure Bina, pure Malchut, Malchut’s insertion into Bina, and Bina’s insertion into Malchut. Their inclusion into each other creates something that is called “love.” Now, since Malchut and Bina acquire each other’s qualities and start to understand one another, the process of correction becomes possible. Not only does Malchut join Bina and learn from it, thereby correcting Galgalta ve Eynaim’s bestowing desires, but also it is enabled to use the power that it acquired from Bina to descend back to its original place and correct its AHP (Awzen, Hotem, and Peh). These repetitive swings up and down complete the correction process step by step, each time proceeding to a new level. Everything depends on the desire; everything is revealed within the desire. Therefore, we only need a properly organized, formed, and goal-oriented desire. In order to mold our desire, to give it the right form, which is ready to be fulfilled by the Creator, the Creator plays a “hide and seek” game with us: He alternately conceals and reveals Himself. A person doesn’t always recognize this game, but it occurs constantly with every person until one is corrected. It is necessary to recognize all the time that the whole world is no more than the manifestation of the Creator in various images: people we hate, people we love, people that help, people that interfere, ones that are close, ones that are distant from us, friends, and completely unknown people. Everything comes from the Creator: all these people as well as inanimate nature, vegetation, animals, and all the thoughts and desires of a human being – everything except the point of our “I.” This point, this “I,” is the point of view, from which a person wishes to grow and become similar to the Creator. The Creator uses all these manifestations of images, thoughts, and desires in the game He conducts with us. As He conceals and reveals, He brings us closer or further away; however, the Creator does both only with one intention: to stir us, as it is written, “The Upper Light stirs and evokes desires.” If, despite the fact that we are thrown from side to side all the time, we use all our strength to try to keep ourselves in the thought that everything comes from the Creator, since “There is none else beside Him,” and the Creator is undoubtedly “Good and does good,” our desires become broader and deeper this way. If one truly “holds on with his teeth,” not allowing himself to turn away from the thought and the sensation that it is the Creator who carries out all the actions in regard to him, then a person sees how to properly use every minute of life. After all, every opponent is actually not an opponent, but rather a helper to allow one to hold onto the Creator in extreme states. A person can advance in this manner until he reaches a state, where he is willing to do anything and can withstand everything only to not part with the Creator. This is the only thing he asks for. He sees very important exercises in these obstacles, which are sent to him with love by the Creator. The Creator just awaits a person’s willingness so that He can reveal Himself to him. A question I received: Why is it that in spirituality men need to go through circumcision (Brit Mila) even though men embody the quality of bestowal in the spiritual world and not women who correspond to the quality of reception? My Answer: Indeed, if we’re talking about Malchut’s correction, it follows that it is the female (receiving) part that should be corrected. So, why is it that the correction (circumcision of three impure desires or Klipot) is done in Zeir Anpin which is the symbol of male qualities? Before the End of Correction, my intention to bestow only applies to the desires above Tzimzum Bet (Second Restriction). These are the desires connected to the qualities of Bina while all the other desires still can’t be corrected. For this reason, they are cut off from use and become usable again only at the End of Correction. The intention to bestow within me is called “man” and desire is called “woman.” This intention to bestow is called Zeir Anpin, man, or “overcoming.” I see how I need to arrange and cut off this intention and I see which form of bestowal to apply to make it suitable for the Creator. Malchut, the receiving part within me, is without form. However, the “bestowing” part in me must be given form, specifically to the extent of and depending on what I am willing to bestow. Then, I realize that I’m unable to work with my intentions and that my screen doesn’t cover the full depths of Malchut. It follows that I must reduce my intentions to some degree.